Collaboration has existed as long as the first person said, “can you pass that rock over here?” Since then, it’s only become a more complex endeavor. With the dawn of the information age, the sheer amount of information and the number of channels over which that data is communicated has grown exponentially and with it the tools necessary to manage it. Early in the days of commercial computing just about everyone was using Lotus Notes for email and collaboration. Today those primary vehicles for email and collaboration, respectively, are Microsoft’s Exchange and SharePoint platforms. Indeed, SharePoint accounts for 69% of the Enterprise Content Management (ECM) market. However, with the introduction of BYOD policies and Cloud-based tools the proliferation of content is making the job of central IT groups quite challenging and causing the frustration levels of end-users to rise. As an Information Manager and IT professional, Cloud technologies are certainly a disruptive, game-changing paradigm…but end-users simultaneously tire of buzzwords from their technology counterparts and yet ironically will leverage whatever tool they can to get their work completed. If this means they have to sign up for their own instance of Box, DropBox or Salesforce.com while working on the client site, circumventing the IT control objectives in the meantime, then so be it. They haven’t heard of COBIT or CISPA and they very often, quite frankly, do not care what your goals are. Microsoft has, with OneDrive for Business, attempted to give IT teams a tool to bridge the gap between the walled Enterprise garden and the outside world. Unfortunately, business-facing employees are confused at the inconsistency between the consumer OneDrive product and its commercial sibling. “Why…” they ask “…doesn’t OneDrive for Business have a sync folder like the OneDrive I have installed on my home computer or like DropBox or Google Drive or iCloud on my daughter’s Mac?” the sound of teeth grinding becoming audible “Why can’t it be as simple as that?” Indeed, why can’t it be as simple as that? That is really the question as content gatekeepers we have to not only be prepared to answer but proactively design a system that prevents that question from being asked in the first place. Because when our customers land at their clients doorstep needing to collaborate with them, it is the readily available and easy to use Cloud-based tools that they can sign up for at next to no cost to which they will turn. Often their IT staff haven’t anticipated this need or at the very least responded to it once it has become apparent through, often vocal, internal demand. Organizations of every size, shape and type across the globe have evolved to the point where a company issued laptop doesn’t have to have a functioning CD/DVD drive, can’t mount a USB drive and you can’t connect to a Wi-Fi hotspot without immediately connecting to the company VPN. Employees can, however, log on to the company intranet, download a file from their team site, and email it to their personal account or their client…or their grandmother if they’re so inclined. Now add to that the increasing trend of allowing employees to access company systems such as email, the VPN, the Intranet and a host of other internal systems and you begin to see the leaks in the firewall multiplying. BYOD and similar policies have two primary goals. One is to allow employees to use their own mobile device to minimize the number of objects they have to carry to be workplace accessible. The second is to reduce overhead costs. The former is admirable but the latter has opened up organizations to a host of unknown costs namely exposure of their intellectual capital. The second you start using terms like web parts, information architecture, and content types you will see eyes glaze over at an astonishing speed. These are specialized terms best left to being used among your technical peers. Words like tags, sites, structure, and the use of metaphors are a better approach when describing how the content management system will operate. You are going to need to build consensus, buy-in and get people excited (to the degree that they can be about their work content on top of their already growing workload) about being a stakeholder in your organization’s content management strategy. Whether it’s a clerk whose file server folder structure you will be replacing or a line of business vice president who needs to understand the compliance benefits of ECM in the wake of new regulatory demands, demonstrating simple yet powerful use cases will go a long way towards building trust, expanding your internal group of champions thus solidifying the success of your ECM strategy. If you don’t weave a compellingly clear-cut narrative for your customers, when you mention words like taxonomy they’re going simply feel taxed. You can have your platform architecture solidified, hardened and tested. Your information architecture and taxonomy can be a thing of sheer elegance. If you don’t have sound governance and training plans, those things simply won’t matter. One could reference age old adages like “Garbage in, garbage out” or “if you build they will come” (by the way, they won’t) but essentially the matter at hand is simply one of defining roles and helping people understand what that role requires of them. Everyone is busy. They have “systems fatigue” almost as a standard operating procedure. And much like the word taxonomy, don’t use the term governance. It’s a confusing word with vague, highly interpretable meaning and connotations. Break down your governance approach into consumable, easily digested concepts. When it comes to pulling people into your ECM governance plan, tell people “we would like you to be a part of our ECM strategy and here are the things we need you to do.” When it comes to training, much like with internal communications (and the connection between learning strategies and internal communications is a whole other topic we can cover later) you need to tell people what is expected of them during orientation or roll out. Have them work in the ECM system, have a system that checks in on how they are progressing and make sure you have quantifiable metrics and seek out qualitative feedback. Take your findings then iterate responsively and continue to update your ECM strategy and governance plans. Over time, patterns will emerge and you will be able to better anticipate the needs of your content users. With these elements in place you can’t expect to all of your content management to magically disappear. 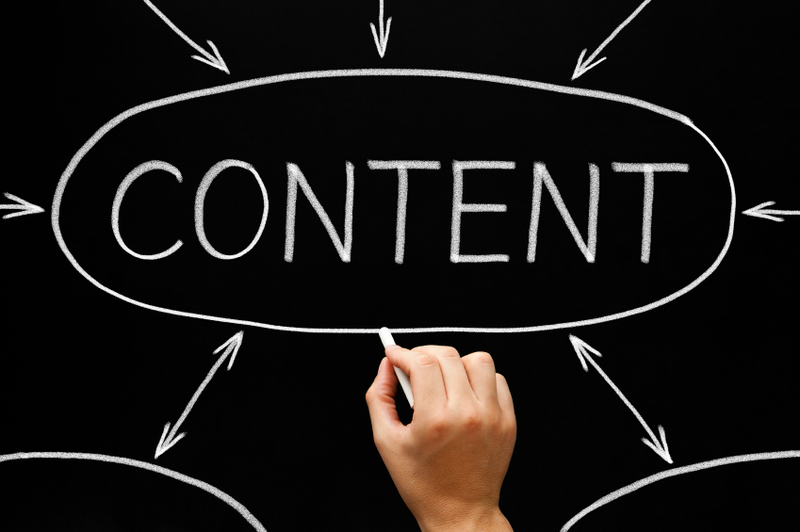 However, you can expect that this approach will mitigate the constant content conundrum.